We are proud to present you our new corporate identity. Together with our new packaging and brochures, our website is revamped as well. 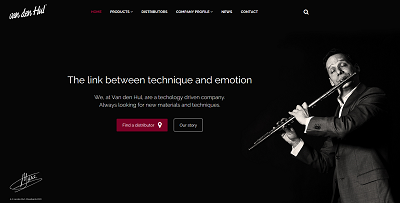 With this new look we have depicted our slogan “The link between technique and emotion” into our new corporate identity. We hope you appreciate our new style!